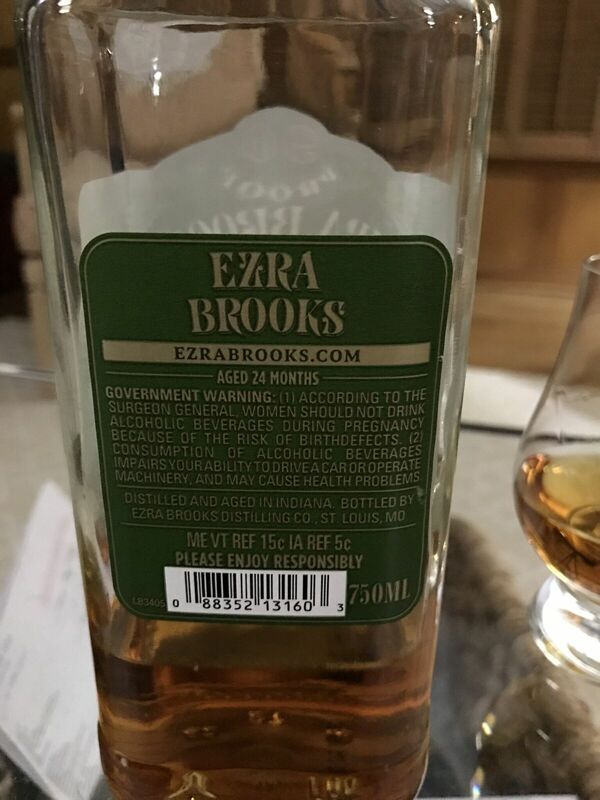 Ezra Brooks 2 year rye – a surprisingly good pour. 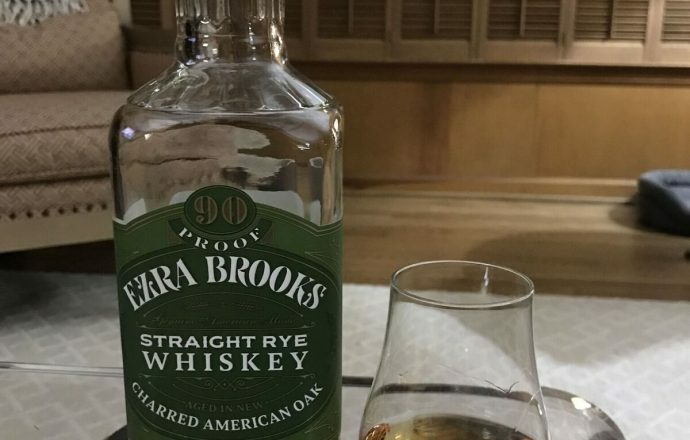 Ezra Brooks (part of Luxco) recently launched a 2 year straight rye whiskey with an age statement on the back in months instead of years. I’ve had month-stated rye before, and most often it ended up in the sink or mixed with a heavy dose of mixers. To my surprise, this one tastes a lot older than 24 months. It’s distilled and aged in Indiana, most likely making this 2 year MGP rye, which probably explains why it tastes good. My favorite rye (besides Saz 18) is the discontinued 7-8 year barrel proof MGP rye that Smooth Ambler used to bottle. This bottles has traces of the SA rye, albeit at a much lower proof. The low proof dulls the spice taste, but on the flip side makes it easily sippable as your second or third drink of the night. It also still carries a nice little caramel corn finish that I find with rye. I’m pretty sure I finished this bottle in a week. For $20, you really can’t go wrong, and it might be my new every day rye. Overall – B+ (a little higher if you include the $).